KEY THEME SCRIPTURES: How do we get right with God? (Mt.6:33) Seek first the Kingdom of God and His Righteousness and everything else will be added unto you. Here a direct link can be seen between His Righteousness and the Kingdom. (Rom.1:17) For in the gospel a Righteousness from God is revealed, a Righteousness that is by faith from first to last, just as it is written: “The Righteous will live by faith.” True Righteousness is a key theme of the gospels; a righteousness based on faith not works. (Phil.3:9) Not having a righteousness of my own that comes from the law, but that which is through faith in Christ—the righteousness that comes from God and is by faith. I want to know Christ and the power of his resurrection. Here the link between Christ centered Righteousness by faith and Kingdom power is seen – resurrection power! The good news and revelation of the New Testament is that we are saved by God’s grace through faith (Eph2:8). Salvation is a free gift from a loving God to an undeserving, sinful people.This salvation is activated purely by faith. All are saved if they will receive the gift. God has reconciled us to himself through Jesus (Rom.5:10). We are now in right standing with our heavenly father, we are righteous. Our Righteousness is from Jesus only. It is not a self-righteousness that comes through our own good works or sinlessness. A CLASH IN THE GOSPEL? Some of the gospel teachings seem to oppose this good news of grace and seem to still be preaching The Law. Parts of the gospels seems to imply that salvation and true righteousness is actually conditional on us continuing to do good works. There appears to be a dichotomy between some of parts the gospels and the teachings of grace revealed to the Apostle Paul by the Risen Lord Jesus. Gal 3:2 I would like to learn just one thing from you: Did you receive the Spirit by observing the law, or by believing what you heard? Are you so foolish? After beginning with the Spirit, are you now trying to attain your goal by human effort? Many are saved by grace, only to find that they end up living a driven, legalistic Christian life. Legalism denies the effectiveness of the work of the cross. It leads to spiritual dryness, death, sin and control. The truth is that not only are we saved by grace but we are called to live in Jesus’grace daily. The Lord wants to address this issue and bring about a correction. Legalism often comes about due to the wrong interpretation and application of certain scriptures. It is vitally important therefore, that we re-examine the gospels and other New Testament scriptures that appear to promote legalism and conditional acceptance by God. To deal with this problem we have to understand: 1) the primary purpose of these gospel teachings? 2) in what context were they preached? 3) what do they actually mean for us today? 2Ti 3:16 All Scripture is God-breathed and is useful for teaching, rebuking, correcting and training in righteousness. We must recognize the value of all scripture and understand how to use it correctly. Being Christ centered is crucial and the very core of our faith (Lk.24:27). They and we are all about Jesus! (Col.1:16) The bible is a progressive unfolding revelation of God’s goodness and love for mankind. This love is centered on Jesus Christ (Jn.5:39) and His Kingdom. Firstly we use scripture to interpret scripture. The principle and significance of first mention is helpful. Progression; the gospels interpret and clarify the Old Testament and the Epistles interpret and clarify the gospels. Rom 6:14. You are not under law, but under grace We affirm that as Christians we are not under the Old Testament Covenants as they are all fulfilled in Christ (Mt.5:17). We live under a New Covenant with God. This new agreement is based on the grace and faith released through the life, death and resurrection of Jesus Christ. This new covenant can only be understood and lived out by the Holy Spirit within us (Jn 14:26 Ro.18:13 Jn3:3).We value, honor and seek to understand Old Testament scriptures.They are the very Word of God revealing mankind’s sinful, independent and self-righteousness nature.They are pointing us toward a Christ centered salvation (Jn.5:39).However it is the New Testament that is our primary scriptural authority. We must consider scriptures in the context in which they were written. What was the spiritual and life issues that the Holy Spirit was addressing at the specific time? How are these revealed truths are to be applied in our own lives, times and context. To take any scripture out of context leads to abuse and deception and definitely can create confusion. Many today misuse scripture in this way to reinforce wrong doctrines or to over emphasize certain pet doctrines. A scripture taken out of context is a con! Many erroneously believe that the Christian life must be first and foremost be founded on the four gospels. The reasoning being that these were the actual teachings of Jesus himself – thus red letter Bibles. This reasoning denies the validity of the Word revealed by the same Spirit of Jesus to the Prophets and Apostles. This over emphasis on the gospels at the expense of the epistles can lead to confusion and an under valuing of the later letters of the Apostles. In fact these New Testament letters are a continuation of the gospels.They add to the progressive revelation of the full Gospel of Jesus Christ, His Kingdom and His grace. They are the very means by which the gospel teachings are to be interpreted and clarified. The Apostle Paul makes it clear that he received his teachings by direct revelation (Gal.1:12). These came direct from the risen, glorified, Jesus and not from himself or any other person. The teachings found in letters such as Romans, clarify and reveal foundational Christian truths. Some of these are only hinted at in the gospels e.g. the Righteousness of Christ, justification by faith, grace, "sonship", Christ in us, etc. It would be extremely difficult to derive these key foundational Christian doctrines by just studying the gospels. In fact if one was only to study the gospels one could well end up concluding that salvation may primarily come about and be maintained by good works and law keeping! An over emphasis on the gospels at the expense of the epistles can lead to legalism. It is the epistles that bring us into the full revelation of grace and freedom that is ours in Christ. So what then is the purpose of the gospels? This is a key issue for mankind! This is the work and purpose of the cross. Without true righteousness there is no salvation. True Righteousness is : i) Our right standing with God that comes by grace. ii) Being in a right and loving relationship with God. iii) The condition of man that is acceptable to God. iv) A state approved by God. v) An inner spiritual state of holiness. vi) We are justified through the cross. vii) We are without sin in God’s eyes. viii) A state where our sins are no longer recorded or remembered. ix) Freedom from condemnation and judgement. The righteousness practiced by the Jews of Israel and all religions is an external religious self- righteousness based on good works and law keeping. This form of righteousness actually never made Israel or anyone right with God (Ro.3:10). It fell far short of true Godly Righteousness (Mt.5:20). Religious self-righteousness is in fact totally foreign and opposed to true Godly Righteousness which can only come through faith in Jesus Christ. Israel had become proud, boastful and self-righteous; dependent on self-effort and a legalistic religious system, instead of on God. (Act 1:6) “Lord are you at this time going to restore the kingdom to Israel?” Jesus teaching and preaching was (Mt.4:23) the good news about the kingdom. The Jews and even Jesus’ own disciples, thought that the Messiah/ Christ had come to establish a physical kingdom. They wanted to see Israel glorified among the nations of the earth. (Jn.12:13) The Jews thought the new “King of Israel” had come. They turned on Jesus very quickly when they discovered that this was not his plan! Even after Jesus’ resurrection, the disciple still did not understand Jesus’ teachings on His kingdom. (Acts 1:8) It’s significant that Jesus’ reply was to point them to the coming Holy Spirit, for the Kingdom is Spirit! They did not understand that the Kingdom of God is a spiritual (Lk.17:21) inner kingdom based on true Righteousness. The Jews and even Jesus’ own disciples mistakenly sought a kingdom and a righteousness that was physical and external. These two themes are critically important for us to understand. 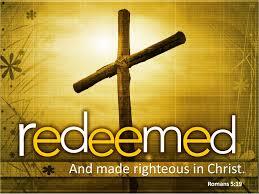 Jesus proclaimed a direct link between the Kingdom of God (Mt.6:33), true Righteousness and blessings. Rom 10:3 Since they did not know the righteousness that comes from God and sought to establish their own, they did not submit to God’s righteousness. To correctly understand the gospels we have to understand the context in which Jesus’ gospel teachings took place. Jesus preached to Jews. All His disciples and the large majority of His listeners were Jews. They were living under the religious laws of Moses. They were waiting for the Messiah to re-establish Israel’s kingdom. (Mt.15:24) Jesus boldly proclaimed “I was sent only to the lost sheep of Israel!” His first concern was dealing with God’s chosen people who had been chosen to take the good news of God to the world. However the Jews had totally missed God’s message and Spirit. (Gen 15:6) Through Abraham Israel had been given the message of a good and loving God. Abraham was the father of the Jewish nation and all those who live by faith. Abraham also had a revelation of true Righteousness that came through faith. But Israel rejected Righteousness by faith and instead sought a religious self-righteousness based on their goodness and self-effort. Thus the law was given to expose their sinful self-righteousness. (Jer 23;11) (Rom 11;26) They in fact had become Godless. Israel became proud and boastful. They did not want an intimate relationship with a loving God. They chose by their actions and hardness of heart to seek righteousness through law keeping. They rejected the faith of Abraham. God gave Israel the law and His conditional blessing based on them keeping every single one of the 613 laws. Read Deut 28 and you will see the impossibility and horror of this. They honestly thought they were good enough to do it! It was into this context that Jesus came. This very issue He addressed through the gospels. He came to reveal to Israel that the righteousness they thought they had attained through the law. They actually fell completely short of God’s holy standard…..what a shock this was to them! The Jews knew that the gentiles were Godless and unrighteous but never suspected they were! Jesus taught and acted with the specific purpose of challenging the legalistic unbelieving hearts of the Jews. Including his own Jewish disciples. Many disciples followed Jesus as a Rabbi and some as Israel’s Messiah. They claimed to believe His message but in fact many disciples totally misunderstood. Many eventually turn away from Him. (Joh 6:66) From this time many of his disciples turned back and no longer followed him. Including Peter in Matt. 26:34. Jesus confronted head on the issue of the Jewish Kingdom and the legalistic, self righteousness taught by the Jewish religious leaders. He condemned this system and it’s leaders outright. We find Jesus condemning the religious Pharisees in the strongest possible terms (Mat.23:1-33). But he showed mercy and grace to those struggling with moral sin (Jn.8:11). He did not go about exposing the hypocrisy of legalism as we would expect. He in fact used law to destroy the law for those in Christ. To those practicing and preaching law and self righteousness He preached a form of Hyper-law. E.g. (Mat 5:28) I tell you that anyone who looks at a woman lustfully has already committed adultery with her in his heart....If your right eye causes you to sin, gouge it out and throw it away. It is better for you to lose one part of your body than for your whole body to be thrown into hell. Yes, this may seem like simple hyperbole but to the Pharisees who regularly stoned people it was something else! This was to expose the shortcomings of their law keeping and the righteousness they thought it gave them. On earth, Jesus preached law and conditional salvation. Examples of condition that expose the short coming or the self-righteous religious life and which can themselves lead to legalism are: Matt.5:20, 6:14, 7:21, 10:33, 18:35, 19:21, 25:46. etc. Jesus attempted to drive the law keepers to a place where they would eventually understand that they just could not do it by themselves. He was endevoring to reveal that it was the Jew’s pride and self-righteousness that was the problem and this sin was the key issue for God. (Mat 5:48) Be perfect, therefore, as your heavenly Father is perfect. See what I mean, Who can do such a thing? (Mark 10:19-27) In this story the self-righteous rich man missed this point while the disciples understood to a degree (not fully). When the disciples heard this, they were greatly astonished and asked, “Who then can be saved?” Jesus looked at them and said, “With man this is impossible, but with God all things are possible.” “Who then can be saved?” Jesus looked at them and said, “With man this is impossible, but with God all things are possible.”. “Repent for the Kingdom of heaven is near (Mt4:17)” Repentance and Righteousness are two keys to the Kingdom! Jesus’ gospel teaching were primarily a call to the Jews and His own Jewish disciples, an ultimately to all mankind to repent. The Greek work "to repent" actually means a change of mind that leads to a change of living, especially in regard to sin and sinful beliefs. Jesus was calling Israel to change their way of thinking and living – a call to acknowledge their erroneous world and religious view. The teachings of the gospels are not just a call to sinners. It’s a call to good religious people to repent from a self-centered, self-righteousness, legalistic, kingdom view. A call to turn back to a complete dependence on, and belief in, a good and loving God. The repentance Jesus was looking for was not repentance from moral sin as he knew that the greater and foundational sin of unbelief was the root of all moral sin. God hates all sin but there is primary foundational sin in which all moral sin is rooted. This root sin of pride, is the sin of mankind’s independent, self- righteousness and unbelief in a good and loving God. At its core all moral sin is a manifestation of unbelief and pride! Unbelief and self-righteousness is the sin that the Holy Spirit has come to expose. (Joh 16:8) When the Holy Spirit comes, he will convict the world of guilt in regard to sin and righteousness and judgment: in regard to sin, because men do not believe in me…. The Pharisees and the average Jew of Jesus’ time generally lead morally up right lives. Because of the strict imposition in society of the laws of Moses.But this was exactly the problem, they had become self righteous, moralistic and judgmental of others. They trusted in their own goodness and in their own efforts of law keeping instead of in God. This is a position that is most offensive to God. This is the great sin of mankind, superbly manifest in the Phariseeical Jewish religious society of Jesus’ day. Islam probably most typifies this attitude today. Thus the importance of us understanding these issues if we are to penetrate Islam and reap the harvest among Muslims and other religious peoples. Jesus understood and proclaimed that it was the inner heart condition that God was concerned with. His focus was not the apparent external keeping of the law or morality. This issue of Jewish legalism was not just something that Jesus addressed in Israel through His gospel teachings. It was in fact one of the main dividing issues every early church, whether in Jerusalem or Rome. Most of the early churches consisted of an almost equal mix of gentile converts from paganism and Jewish converts from Judaism. Judaism was widely spread and highly popular throughout the Roman empire. Most towns had a Jewish synagogue. This is evident when reading Acts. Paul always went first to the synagogue when entering a Roman Empire town. Paul had to repeatedly address the attempts of Jewish Christian believers to impose law in the new churches – thus his letters. Even the Apostles James and Peter promoted this heresy . The Judaizers that Paul so fervently condemned were not Jews sent by the Jewish Pharisees, they were Christians sent by James! They were Jewish converts to Christianity that had misunderstood the gospel of grace and were trying to add law to grace. Despite calling and thinking of themselves as Christians they in fact did not truly believe the true gospel (Gal.1:6-7) that the work of the cross was enough to make them right with God. In his letters Paul uses similar tactic to Jesus by pointing out their hypocrisy and their moral sin that is stirred up by law keeping. We all have a natural fallen tendency to become legalistic. The modern church is still full of legalism. Legalism leads to an obsession with external moral sin instead of dealing with the issues of the heart. Don’t get me wrong when I say this. Let me be clear that moral sin is terrible and destructive and has no merit in any way. But Jesus has dealt with it on the cross and we are no longer slaves to sin. Focusing on it gives it strength and power that it is not due. In the New Testament believers are never addressed as sinners but always as saints; holy ones. When we sin we simply take it to the cross. Legalists become sin focused instead of Christ focused. Living by sets of rules, regulations, methods and techniques produce a dry, unloving and controlling environment. There is very little dependence on a real relationship with God. Even though grace may be taught, often the under laying message is that it is believers moral actions, adherence to rules, regulations and systems and attendance at meetings that make them righteous and acceptable to God and the church. Under such teachings we all fall short and tend to live in condemnation and passivity because law emphasis our short comings. The focus for many has become a form of self-righteous living rather than living in the Righteousness of Christ imparted to us by faith and lived out by the Holy Spirit. It’s all an issue of what comes first, where is our focus? Us and our effort, or Jesus, the cross? His Righteousness and grace at work in us leading us to true good works and holiness? There is a link between our revelation, understanding and acceptance of the Righteousness of Christ and moving in His resurrection power. Phil.3:9-10 2Cor.6:7. We are called to move in the power of the gospel 1Cor 2;4 that comes by grace and the Spirit. Legalism leads to intellectualism and a quenching of the Spirit. Accepting the complete, full work of the cross and the Righteousness that comes there from is the grace leads to freedom and power of the Spirit. (Heb.10:29) How much more severely do you think a man deserves to be punished who has trampled the Son of God under foot, who has treated as an unholy thing the blood of the covenant that sanctified him, and who has insulted the Spirit of grace? Godly living and actions come out of the inner condition of the heart Mt.15:18. This right heart condition is founded on a revelation of grace Jn.1;17 Rom.4:16 and that we are the Righteousness of Christ 2Co.2;21. It’s not because of what we do but because of who we are; a part of Christ. (Rom 4:5) However, to the man who does not work but trusts God who justifies the wicked, his faith is credited as righteousness. Jesus is in us, we are dead, He is alive Gal 2:20. Our sins are no longer taken into account Rom 4:8. Our righteousness is HIS righteousness. Our life is His life. We have glorious freedom from condemnation Rom 8:1-16. The cross has done all we need to make us right with God. It is from this position that agape love, Godly good works and right living is manifest through our lives. We live under grace not law – this has to have a daily reality for us. Any New Testament scripture that seems to imply that our salvation and acceptance by God is based on our good works or law keeping we must remember to whom these scriptures were actually addressed; to Jews living by law not to believers living by grace.